It took a leap of faith for Danny Leyva’s parents to allow him to become the youngest professional player the Sounders have ever signed within their second-tier ranks. 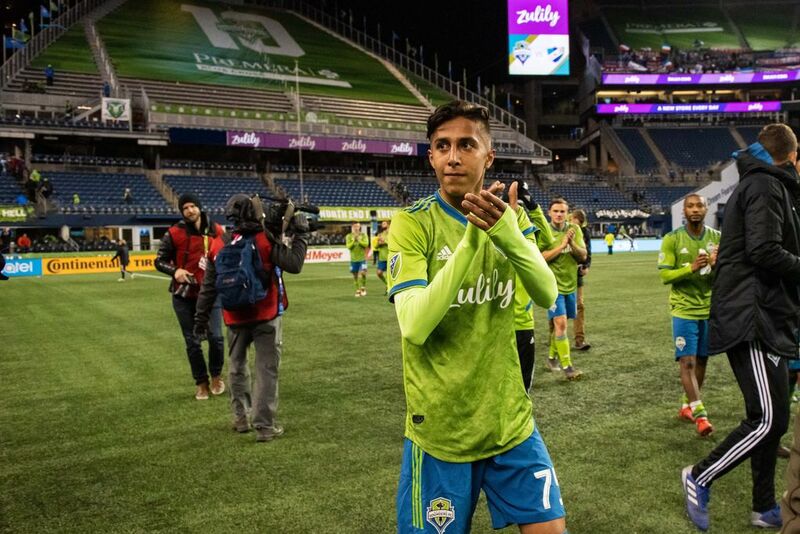 At age 15, Leyva made a surprise preseason appearance at CenturyLink Field last week for the Sounders against Club Nacional of Uruguay with more than 30,000 people looking on. The defensive midfielder, barely old enough to lift weights, already had played 90 minutes against the Portland Timbers earlier in training camp, but in a smaller Arizona-based setting nowhere near the surreal feeling of an NFL-sized stadium. His father, Ulises, hopped a last-minute flight from their Las Vegas home when he was told Leyva would be among 18 players dressing for the game — then watched Leyva take the field in the second half with Jordy Delem feeling ill. Leyva’s father played soccer in the amateur academy run by Club America in Mexico until 14, the age when his parents refused to allow him to leave school to pursue a professional soccer path. Now, having earned a civil engineering degree from a university in Mexico and working for his sister’s real estate firm in Las Vegas, Ulises — who came to this country 19 years ago — faced his own choices about his son. And it was only after he and his wife, Liz, gave their approval that Leyva left home at 14 to train with the Sounders in their youth academy. By last October, Leyva became the youngest player to sign a United Soccer League (USL) contract with the Sounders’ Tacoma Defiance affiliate. His father knew Leyva was a standout student and didn’t want him dismissing educational opportunities — especially with colleges knocking on their door. 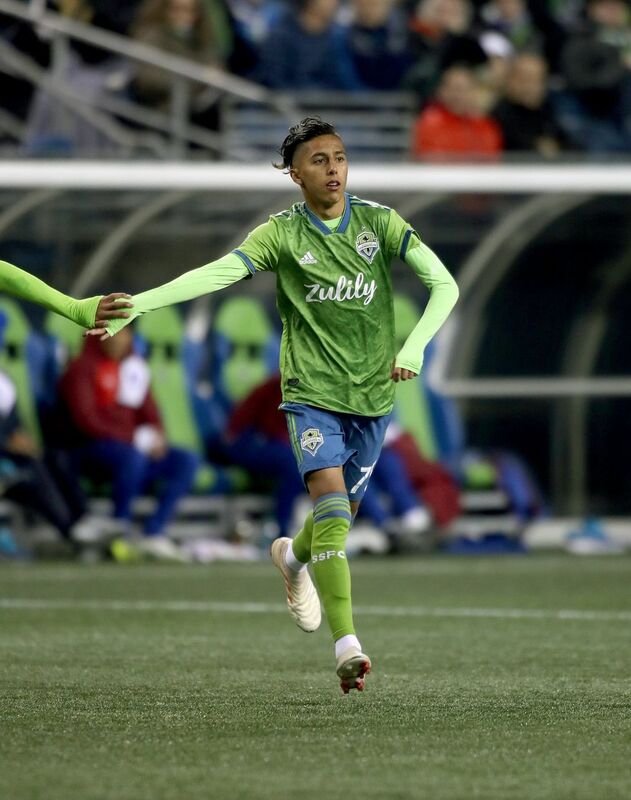 He pressed the Sounders about their online tutorials, which Leyva is now partaking in with the promise to his family he’ll at least finish high school as he pursues pro soccer. Still, he’s only 15 and won’t turn 16 until May. While it’s not unheard of for soccer players abroad to start pro careers at that age — Sounders left back Nouhou launched his at 16 in Cameroon while Gustav Svensson and Kelvin Leerdam were in academies run by pro teams at 14 and 15, respectively, in Sweden and the Netherlands — it rarely happens anymore in team sports in the U.S. and Canada. Pitcher Joe Nuxhall launched a long Major League Baseball career at age 15 with the St. Louis Cardinals in 1944, but the sport’s amateur draft now requires U.S. and Canadian players complete high school before turning pro. The youngest NHL player was Ben Guidolin of the Boston Bruins, 16 years and 11 months old when he began in 1942, while Andrew Bynum of the Los Angeles Lakers had just turned 18 when he made his 2005 NBA debut. Amobi Okoye was 19 years, 3 months old when he played his first NFL game for the Houston Texans in 2007. NHL draft rules now stipulate players must at minimum reach their 18th birthday by Sept. 15 of that year’s draft. The NBA pushed its draft minimum to age 19 back in 2006, but there is now a league-sponsored effort to move it back to age 18. And the NFL requires all players wait until at least three years after high school for eligibility, meaning most will be at least 20. Nigerian-born Okoye played at 19 because he skipped two grades before high school. Every league but the MLS has implement a minimum age, but it hasn’t always been that way. Still, Freddy Adu’s debut at age 14 still holds the title of youngest debut in major American professional sports. Soccer is an exception because of the game’s global marketplace. MLS has no age minimum, which is how Freddy Adu made his debut with D.C. United at 14 back in 2004. Ben Mines debuted at 17 for the New York Red Bulls last season, while New York City FC signed Joe Scally, 15, to a first-team contract. Leyva’s father, a youth coach in Las Vegas who’d begun training his son starting at age 3, knew he had a special player on his hands. By 5, Leyva was running circles around others his age in organized games and by 10 was playing under-14 soccer against players much older. Sounders assistant coach Gonzalo Pineda, a former Liga MX and MLS star who began training in pro academies at 15, agreed the outlook on young athletes elsewhere differs greatly from here. Pineda said it boils down to opportunities. More players and parents here, he added, are inclined to think about attending college before pursuing a pro sports career. Pineda has paid close attention to Leyva in camp. Not just because Leyva’s going through some of the same trials he did, but also from a pure talent perspective. The Sounders have a plethora of teenagers working through their system — including standouts Ray Serano and Azriel Gonzalez — but feel Leyva might be the best they’ve come across. Leyva actually had spent his morning training with his USL team ahead of the unexpected call to action against the Uruguayan side. He’d warned his father the trip up from Las Vegas might be for nothing: to which his dad told him not to worry. Leyva has soaked in the nuances of his first pro training camp, getting over his initial wonderment of practicing alongside players he’d previously watched on television. He roomed in the team’s road hotel with midfielder Victor Rodriguez, who hails from Barcelona — where Leyva once traveled to play as a guest in a local youth tournament for elite prospects. The pair spoke Spanish and got along well, Rodriguez relaying his experiences in the Spanish La Liga playing in iconic stadiums against world soccer powers. Leyva was initially nervous hanging around pros but eventually started bonding with the older players. He still enjoys video games and hanging out with academy teammates more his age, living “a pretty normal life’’ despite the night schooling after daytime soccer workouts that limits his social activities. That includes getting serious about his nutrition and behavior — both off the field and on it. When Leyva stood opposite Timbers star Diego Valeri for 60 minutes during the Arizona exhibition, he told himself the midfielder was just another player and did his best to slow him up. “When it gets down to it, it’s just the same game,’’ he said. A game that’s now offering him a pro future, regardless of what his birth certificate says.